There’s no doubt that one of the largest and easiest platforms for creating and managing a website is WordPress. With its free services for both individuals and organizations that allow for creating a blog and a website, WordPress surpasses a lot of platforms on the market today. Considering most of the platform’s services can be upgraded for small fees, a lot of businesses use it to manage their online content. 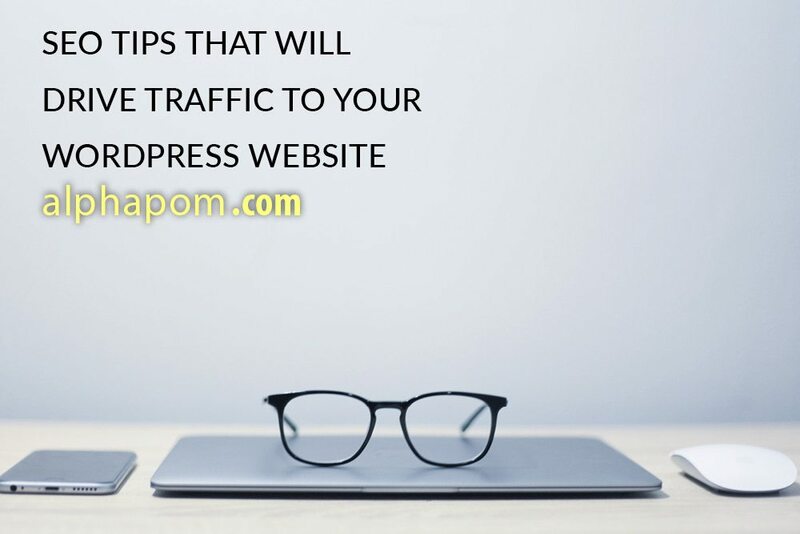 WordPress is also popular because of its large selection of SEO tools and plugins that can enhance your online presence. Today, we’re discussing some of the most effective ways you can use the WordPress platform to drive traffic to your site, but first, it’s important to remember why SEO is a critical component in your marketing. Though there are several ways people browse the internet, the most common ways are through search engines like Google, Yahoo, and Bing. Each of these search engines regularly changes its algorithm, which modifies search results. Even though inquiries result in thousands if not millions of results, most people find what they’re looking for on the first page. The key is to keep your business on the first page of the search results especially the local ones. The techniques we’re discussing today won’t change everything overnight, but over time, you’ll begin to see your business rank higher. 1. URL Structures – Some URL structures contain more information than others. Sometimes they include the day and name, other times they’ll include the month and name. If you use URLs that contain only the post name, you’ll see more success as they are easily read by both humans and the search engines. How do you edit URLs? Go to the Permalink section of WordPress and you’ll discover the option to change them. Having friendlier URLs can help your business rank higher in search engines results, so put this on the top of your To Do List. 2. Use Plugins – WordPress is a huge platform that supports a large community of developers. What this means is that there’s a plugin for literally everything. Look for the plugins that will perform several important SEO functions such as “Yoast SEO” or “All in One SEO Pack,” both of which are free. 3. Sitemaps – Adding a sitemap to your site doesn’t boost your rankings right away, but it does make it easier for the search engines to locate all of your site’s content. This will help you quickly get initial rankings and make sure the search engines can easily update your rankings once you’ve had a content update. There are several plugins available on WordPress that will generate a sitemap for you and quickly. These phrases are known as keywords and search engines crawl websites looking for them before they churn out results. WordPress has plugins that allow you to see the latest trending keywords, which will help you increase your ranking. To take your SEO strategy to the next level, speak to a team of digital marketing experts in Cedar Rapids, Iowa. At Alphapom, we love making sure you get the online exposure you’re looking for with SEO, video marketing, website design, social media management, blogging and more. Call today to discuss your business’s needs.